In 2019, Tarragindi Tigers will continue with a supervising development coach for the U6 (born 2013) and U7 (2012) age groups. The supervising development coach will be able to provide the Volunteer Team Coaches with advice and coaching drills. A volunteer game leader / coach is required for all Miniroos teams. The volunteer parent will take the team on game days and on training days. All coaches will be provided with opportunities to gain the relevant coaching qualifications for this age group. Each team will also need to appoint a Volunteer Team Manager. TTFC schedule in house games for our U6 (born 2013) and U7 teams (born 2012). The draw can be found here. This means that these players play against other TTFC teams during these early stages of development. Continuing in 2019, TTFC's U6/7 games will be played on Saturday mornings from 8.00am to 9.00am at our Esher Street fields. 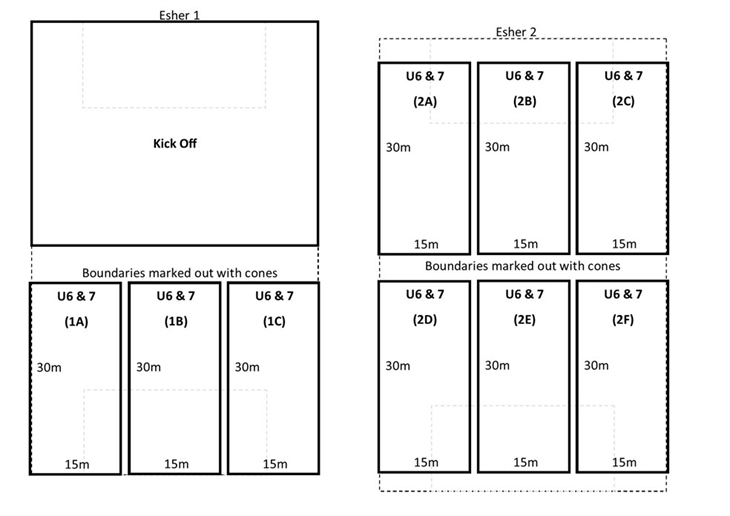 These are Small Sided Football (SSF) games, played 4v4 with no goalkeepers at this level. Training sessions and games are not to be treated as free baby-sitting services. Whilst all coaches have a blue card (as and if required by law), and have taken on a role of coaching the children, players are the sole responsibility of the parent. NO child is to be left in the care and supervision of a coach. In times of sudden wet weather cancellations mid-training, it is distressing for both coach and child when a parent is not present and is not able to be contacted immediately. Many teams, via the manager, create a team contact list, in order for busy parents to car-pool or help with supervision. This is up to the team and parents, and is to remain strictly within the team – no contact details are to be given without consent. U8 and U9 teams play 7v7, including a goalkeeper for the first time. U10 and U11 teams play 9v9, including a goalkeeper. 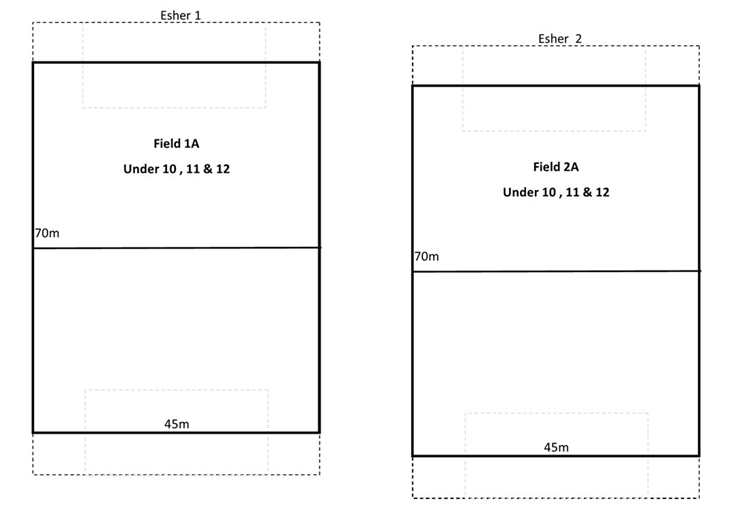 It is TTFC's policy to grade players in the U9, U10 and U11 age groups. Players deemed suitable will be selected into a "Komodo Dragon" team for each age group. Komodo teams are coached by suitably qualified individuals and overseen by the club's Football Director. Komodo players incur a coaching levy in addition to their registration fee. For further information on the Komodo’s program please click here. When available Club Referees are appointed U8 to U11 age group games. Registration open 4 January 2019. To ensure a place in a team you must complete registration process by 1st March 2019. Our U6 and U7 teams have minimum of 5 players and a maximum of 7 players. 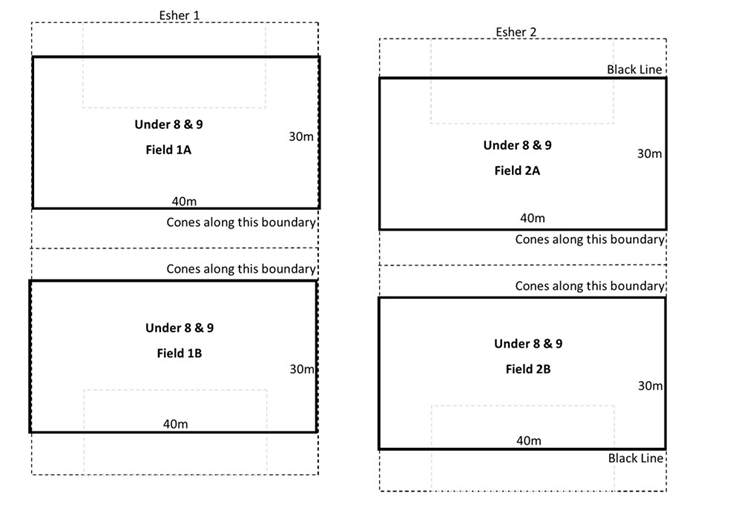 Our U8 to U11 teams consist of a minimum of 8 players up to a maximum of 10-12 players (depending on age group). Our club will attempt to allocate friends to the same team when requested. However we do not guarantee we will be able to. If your son / daughter wishes to play with their friends please indicate this in the registration process by listing the name of their friends in the Player Details form. The MiniRoos preseason will start from Monday 25th February 2019. In 2019, FB has scheduled games to start on Saturday 16th March and finishes on Saturday 31st August. The Club's breakup carnival will be held in September on day to be advised. Please note that there are no games scheduled during the Easter and Mid-Year holidays. Fixtures for the season are organised by Football Brisbane and available on their website. Most games are scheduled between 8.30am and 11.30am on a Saturday morning. ***OPEN TUESDAYS - 5.30 - 6.15 for purchases and collection of orders*** (closed if fields are closed for wet weather or maintenance) Plese text 0409576226 if you need to arrange an alternative time. All MiniRoo players are invited to become part of the development squad. The development squad will be run on a week night to be advised during the season. The development squad is an optional program with a levy charge. The development squad will be organised by by the Coaching Director and run by a team of coaches. We encourage all players to get involved, have fun and improve their skills. Each team will be responsible to complete canteen and BBQ duties during their scheduled home games at Esher Street. A roster will be provided before the start of the season and updated regularly. The manager of your team will organise when parents will staff the canteen or BBQ.